Makers and hobbyists looking for a high precision desktop foam cutter may be interested in a new piece of hardware called the P 400 which is launched by Kickstarter this week and is available to back with pledges starting from €349. If all goes well shipping is expected to take place during August 2017 and the system comes complete with its own dedicated software as well as complete assembly and usage manuals. After the completion of the Kickstarter campaign the recommended retail price of the P 400 will be €450 offering those interested a great way to save cash and help the development of the high precision foam cutter which has been created by GIPAT technology based in Milan Italy. 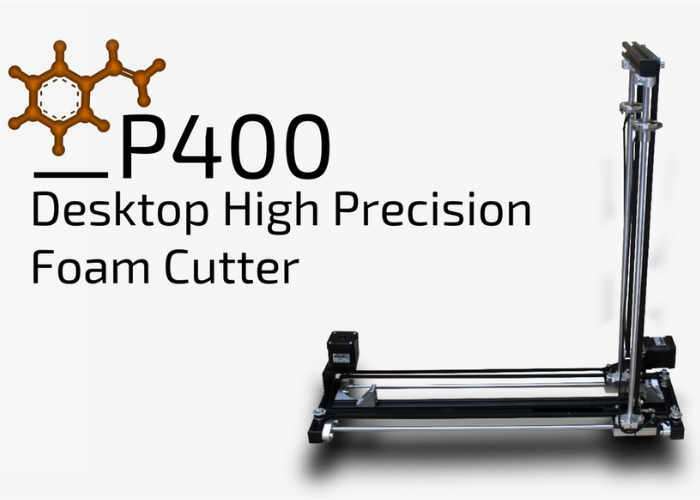 Watch the video below to learn more about the P4 hundred precision cutter and see it in action. If you think it is something that would accompany your workflow or workshop jump over to the Kickstarter crowdfunding website via the link below for more specifications and full list of available pledges.